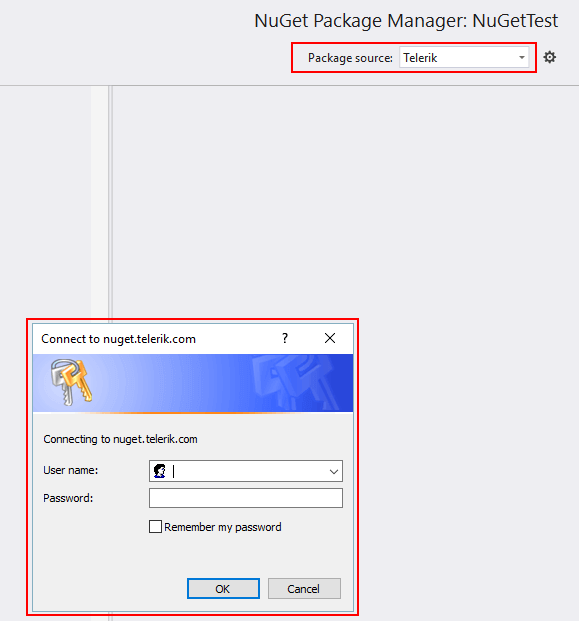 The final step is to select and install the desired packages. 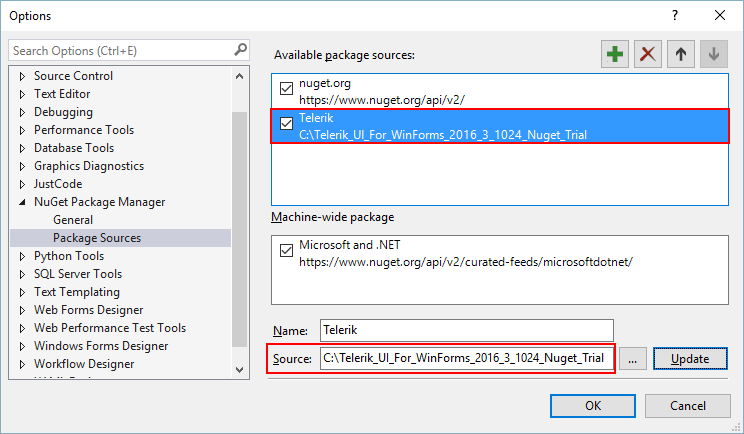 Please note that there are two versions, one for .NET 2.0 to 3.5 and one for 2.0 or newer. 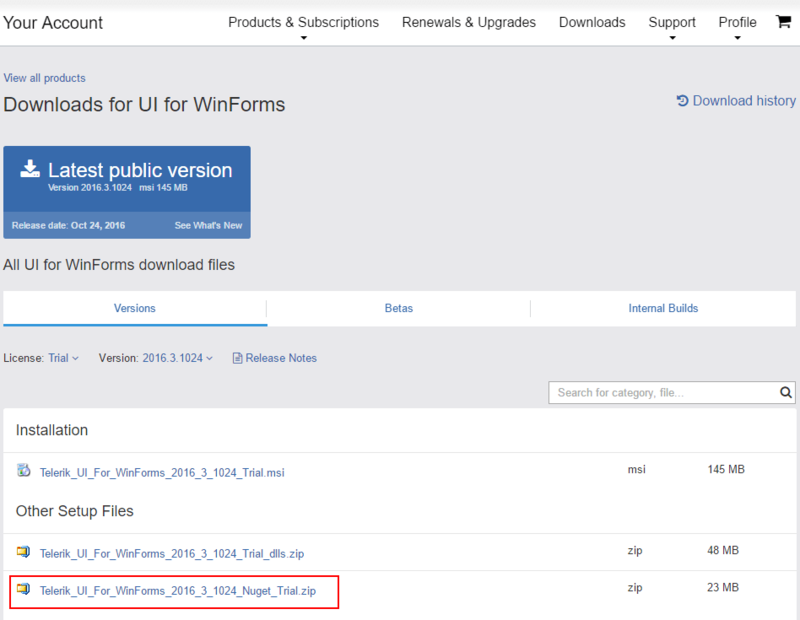 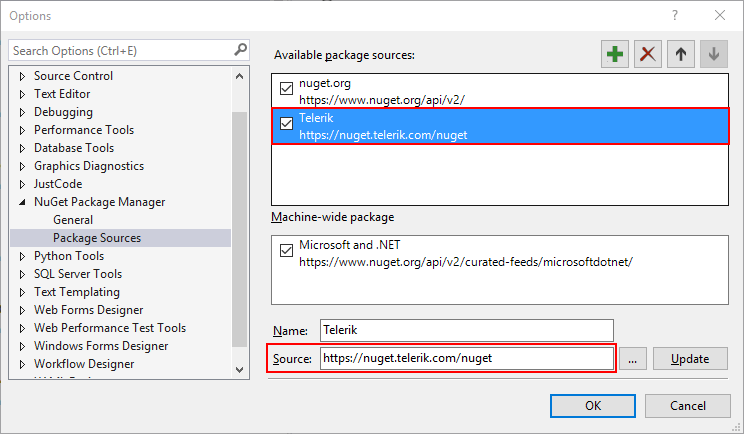 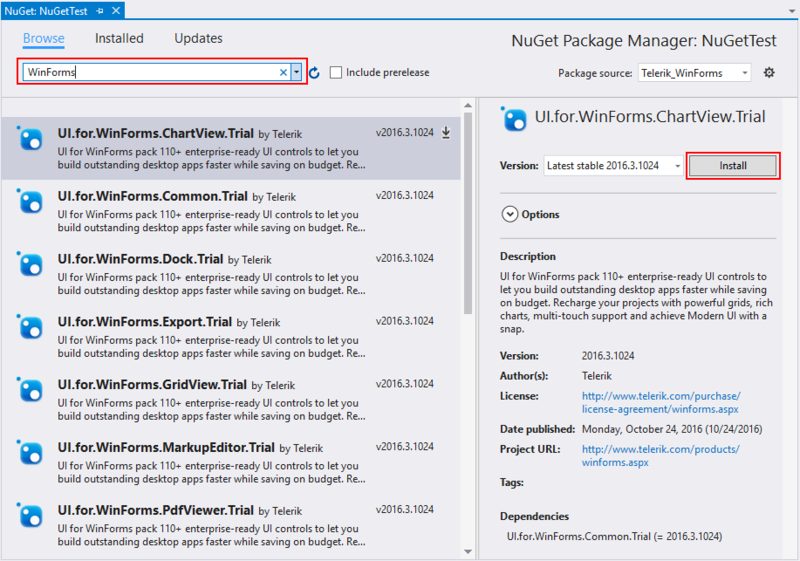 You need to add the Telerik package server (https://nuget.telerik.com/nuget) to the package sources in visual studio. 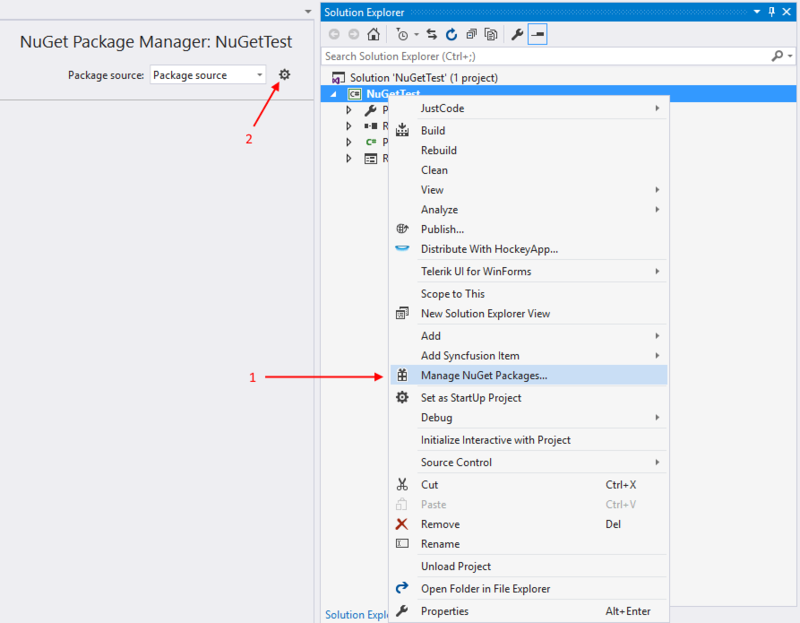 Then you can just select and install the desired NuGet packages.